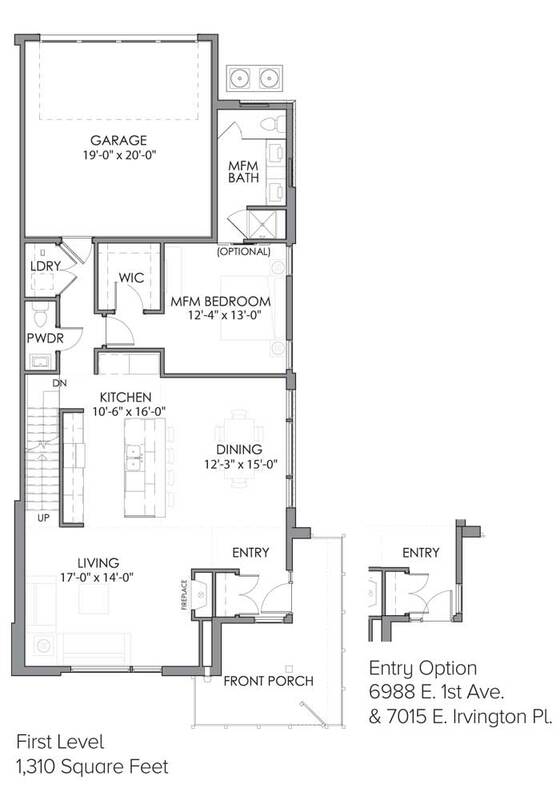 Two-story, two-bedroom home with main-floor master. 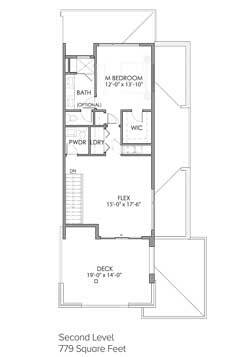 Approximately 2,089 square feet of finished living area includes a master bath and powder room on the main level, plus a ¾ bath and powder room on the second floor. 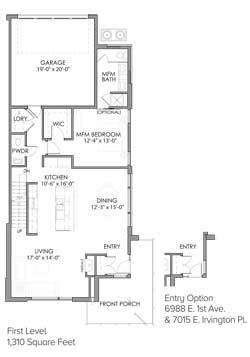 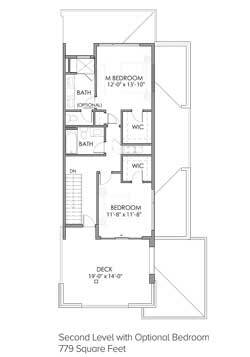 There’s an option for an additional (third) bedroom upstairs, including a full bath in lieu of the included 2nd-floor powder room. 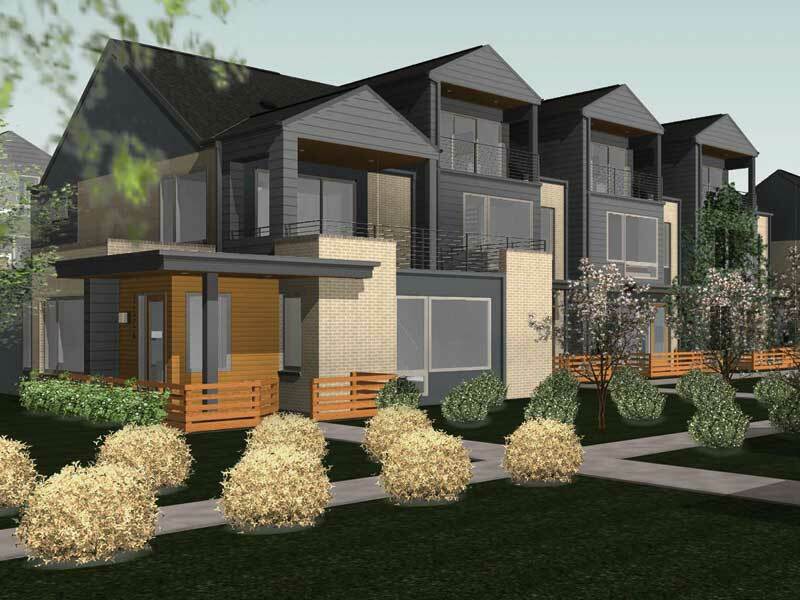 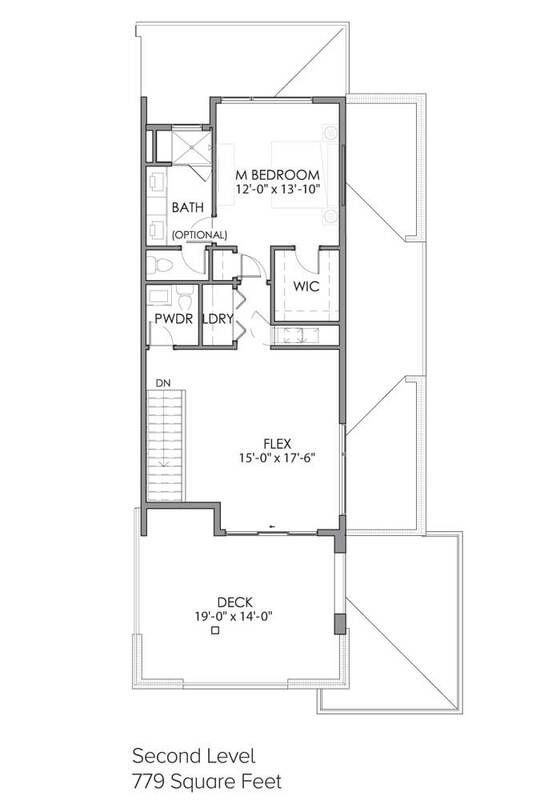 Along with a spacious 2nd-floor deck, the plan includes lots of windows for abundant natural light. 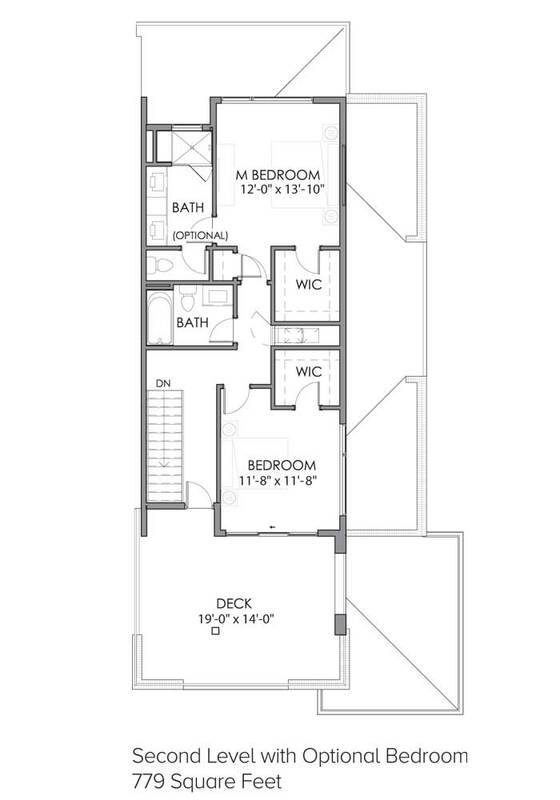 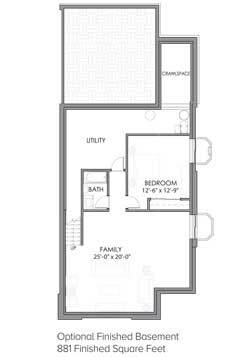 An 881 square-foot (approx.) 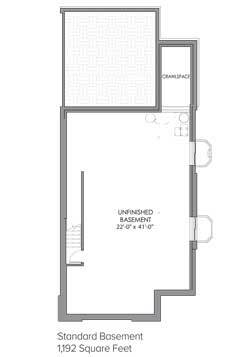 finished-basement option includes an additional bedroom, plus a 20’ x 25’ (approx.) 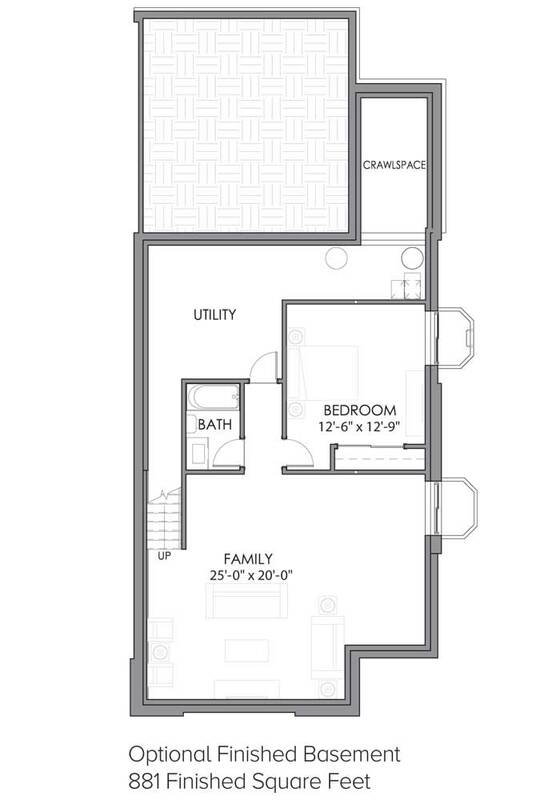 family room, plus an additional full bath. 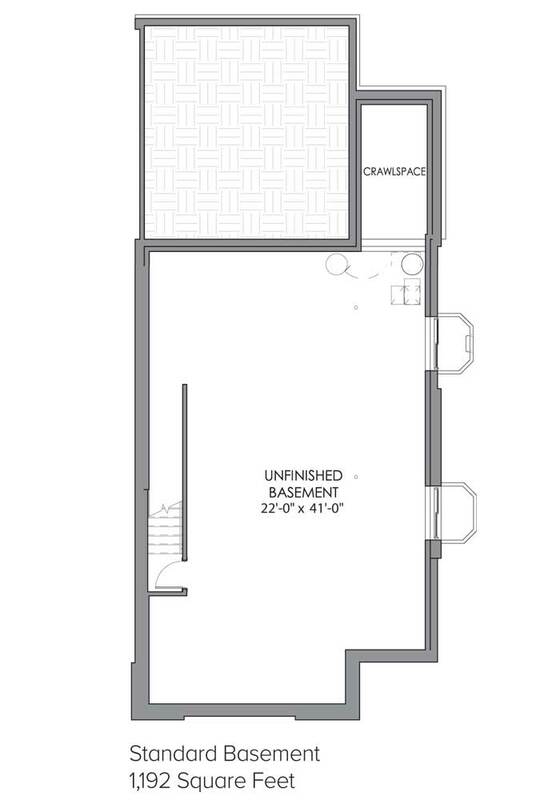 There’s also an attached two-car garage.